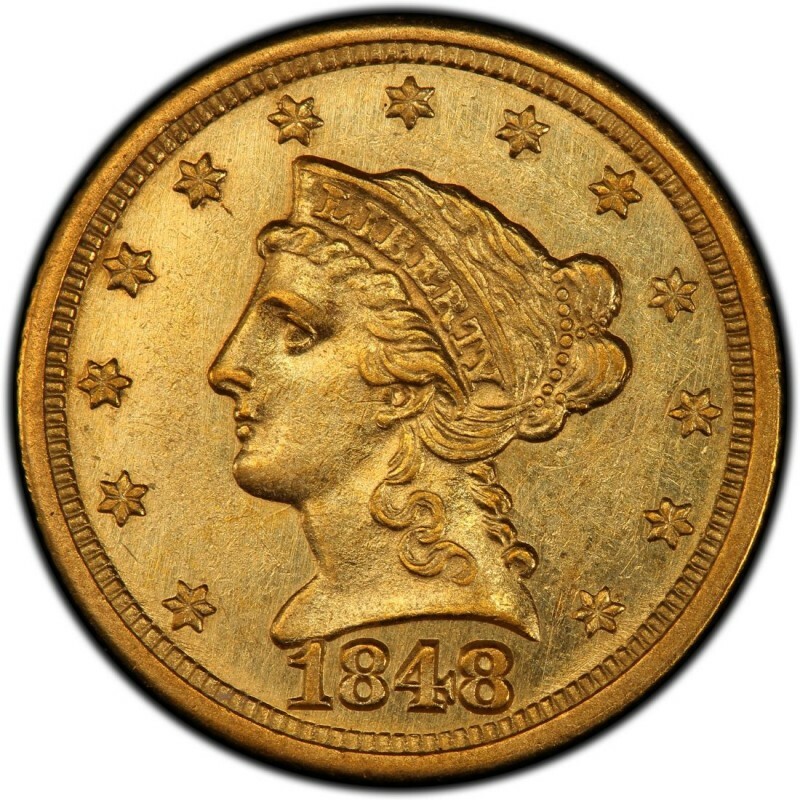 1848 Liberty Head $2.50 quarter eagles are historic gold coins that numismatists enjoy collecting. These gold quarter eagles were produced at the Philadelphia, Charlotte (C), and New Orleans (O) mints. While all 1848 gold coins are scarce by every measure, those struck at the Charlotte and Dahlonega mints are the rarest in terms of overall availability; these coins were not saved in substantial quantities to begin with, and most have been lost or melted. 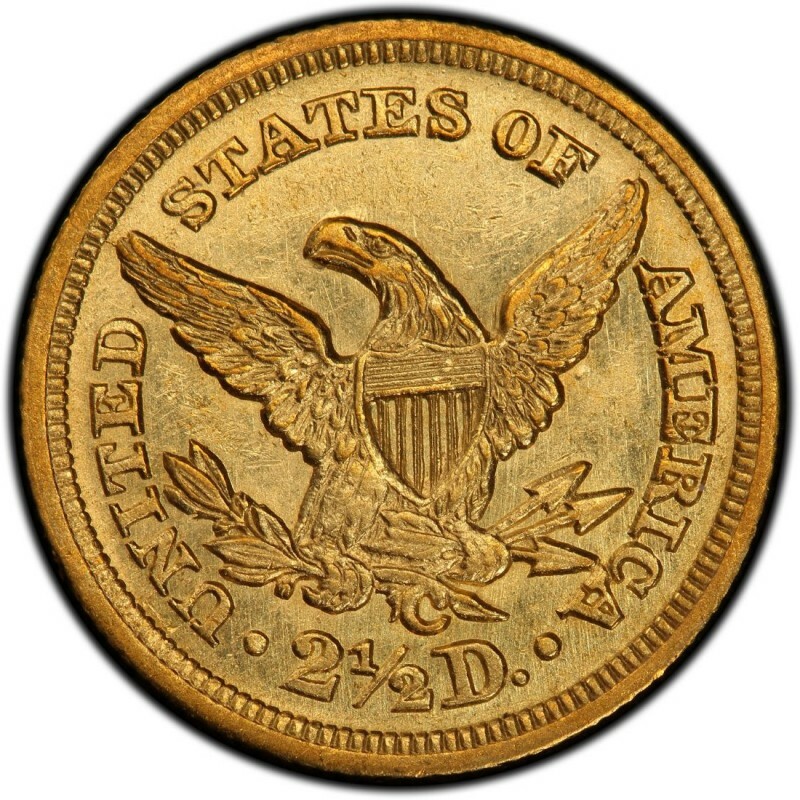 An interesting story about the 1848 “CAL” quarter eagle is that it is technically the first United States commemorative coin, marking the discovery of gold near Coloma, California – effectively the start of the Gold Rush period. Liberty Head quarter eagle gold coins consist of a 90 percent gold and 10 percent copper composition – the ordinary “coin gold” alloy for gold coins of the time period. Also, 1848 Liberty Head $2.50 gold coins weigh 4.18 grams and have a diameter of 18 millimeters. That makes them roughly the same diameter as a standard U.S. dime. These gold quarter eagle coins contain a total of 0.1202 ounces of gold. 1848 $2.50 gold coins were designed by legendary engraver Christian Gobrecht. He served as the U.S. Mint’s chief engraver and is also well noted as the designer of Seated Liberty coinage, which ran from the late 1830s through 1891.